Following a $678 million investment by Northeast Utilities, a once overworked section of the electric grid serving millions of New England residents is officially fully charged and fully committed to providing power to the surrounding community. 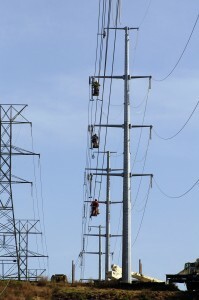 The Greater Springfield Reliability Project (GSRP) was the first of four major transmission upgrades included in the extensive New England East-West Solution (NEEWS) program — and after earning three prestigious awards since its completion in 2013, it’s safe to say the project is an industry success. Engineering News-Record recently named the Greater Springfield Reliability Project as its New England Project of the Year for 2014. The award comes on the heels of GSRP also being honored by ENR as the Best Energy/Industrial Project in New England and by The Edison Electric Institute for accomplishments in safety, innovation and teamwork. Not only was the project successful at delivering on its promise to provide more reliable and cost-effective power to the region, it also overcame some pretty significant challenges along the way. Spanning more than 39 corridors and 110 circuit-miles of new and rebuilt power lines throughout Massachusetts and Connecticut, the GSRP was one of the largest construction undertakings of its kind. With 13 new and upgraded sub- and switching stations, engineers had to satisfy the safety regulations of two states, navigate sensitive wetlands, handle rugged terrain and deal with Mother Nature’s unpredictable conditions. As on most power projects, roadblocks are almost guaranteed, and GSRP was no exception. 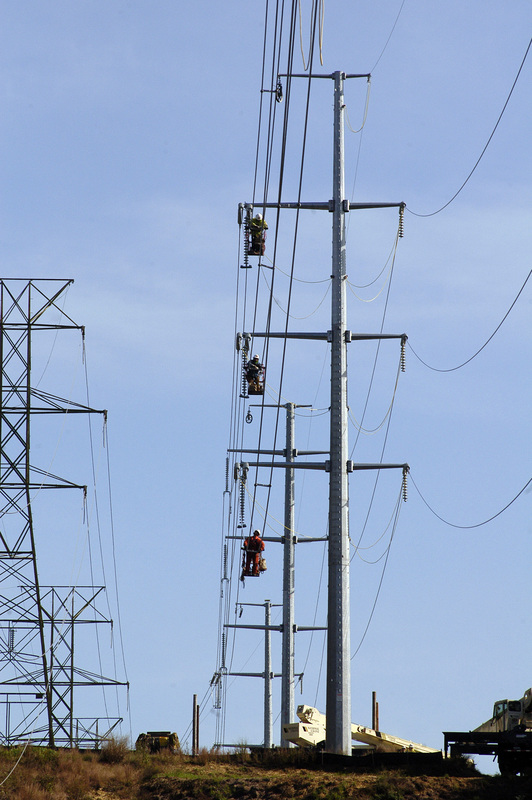 During construction, the project was scheduled for more than 700 controlled power outages, which is a major challenge in itself, but conditions worsened as Superstorm Sandy and the blizzard of 2013 threw curveballs into the mix, including weather delays and numerous unplanned outages. The project’s challenges didn’t end there. GSRP required more than 20 reviews and approvals from local, state and federal agencies; it had to meet nearly 700 regulatory requirements, occupy high-risk construction sites and comply with the National Historic Preservation Act. GSRP also called for the construction and restoration of 32.6 miles of roads, as well as the production of some of the world’s largest shaft foundations to accommodate the project’s enormous transmission towers. Nothing about the project was simple, which made its achievements that much more impressive. GSRP was completed under budget and ahead of schedule, but perhaps even more impressive is that the project recorded 2.9 million safe work hours. Not a single lost-time accident was reported. That’s no simple feat on any project, but even more so on one with more than 600 people working on it. On behalf of all of us at Burns & McDonnell, we’d like to congratulate Northeast Utilities on a successful project! Well done, friends. Jerry Fan is vice president and project manager in Burns & McDonnell’s New England office. He has more than 30 years of experience in the energy industry. Jerry was the program manager for the Greater Springfield Reliability Project.